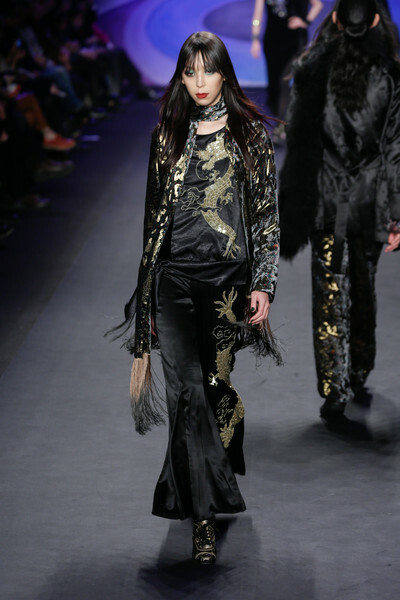 It was clear that Anna Sui got inspired by Asia. 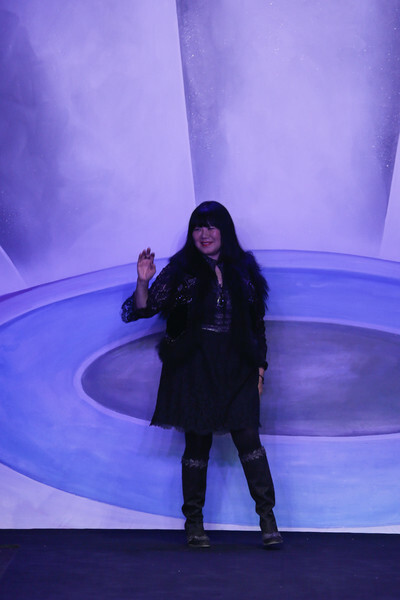 To be more specific: the British musical comedy Chu Chin Chow. 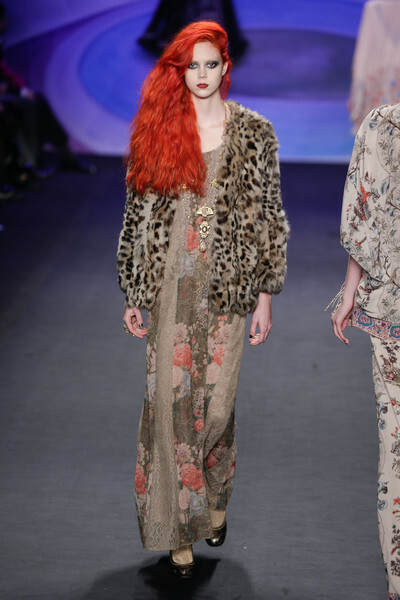 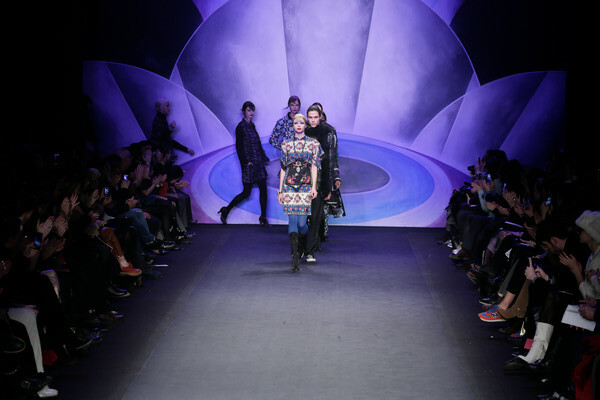 Anna Sui stuck to one theme — chinoiserie meets Twenties Art Deco — with clothes that would look at home in both speakeasy and opium den, or on fans of Sui’s irreverent point of view. 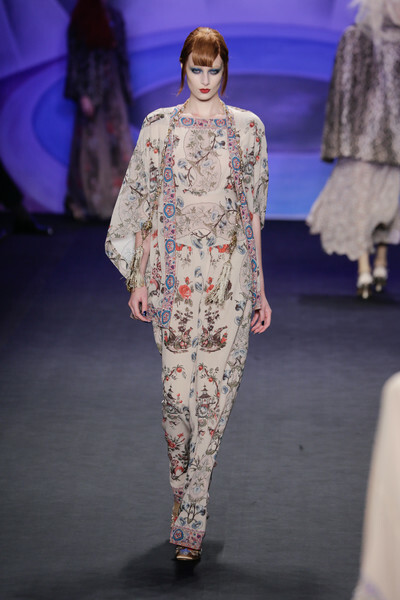 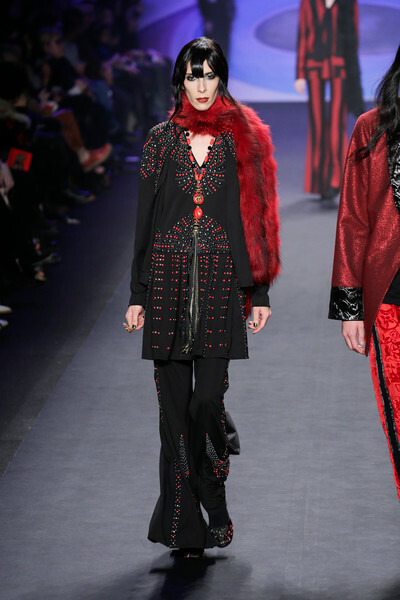 There were several flapper and cheongsam dresses and embroidered silk pajamas that, when teamed with fringed scarves and Mongolian lamb fur coats, had a boho attitude. 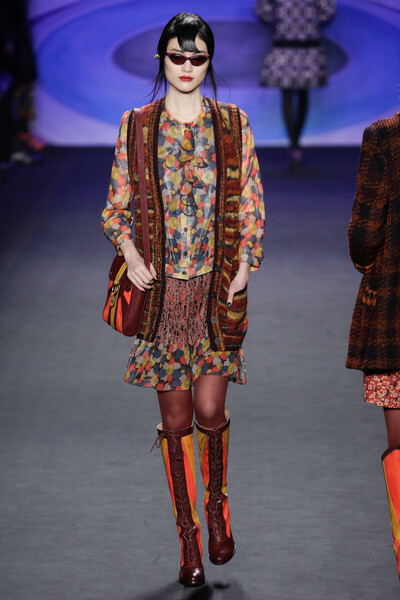 The tweed jackets were charming, executed softly like a knit cardigan. 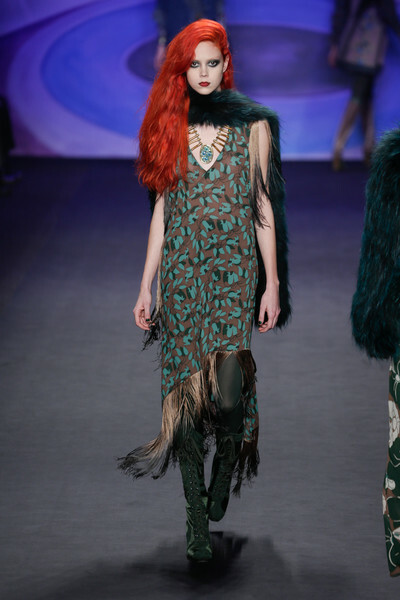 Colorful Art Deco-inspired boots and tasseled necklaces added to the fun. 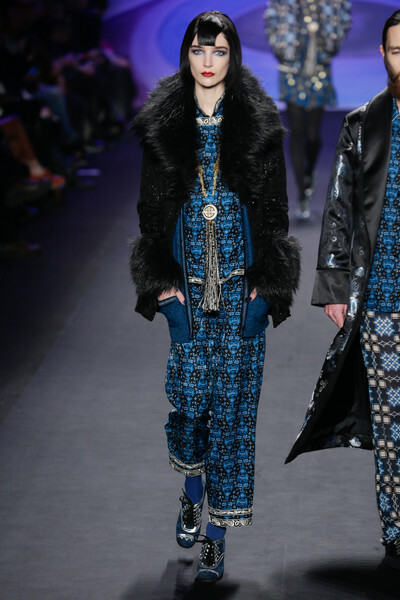 The few men’s looks, such as an embroidered tuxedo jacket over ruffle shirt and pajama pants, complemented the show’s exotic vibe.